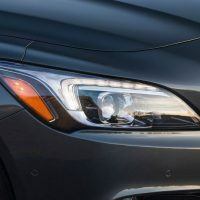 Over the past decade, General Motors has come a long way in revitalizing their model lineup, but right now, we are putting special emphasis on Buick. Cars like the Regal and Regal GS, based on Opel Insignia, have helped promote the new image of Buick worldwide. The new Buick lineup is completely different than a decade ago. The new 2017 LaCrosse is another entry into Buick’s modern lineup which shows that Buick is shedding the old stereotypes. 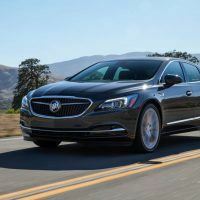 Just becasue it is a Buick does not mean it can’t be fun, and GM made some changes to the 2017 LaCrosse for added performance. 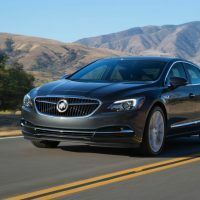 GM put the new Buick LaCrosse through the same weight loss regimen as the new Cadillac CTS and Chevrolet Camaro – both are highly praised for their performance by us journalists and the general public. The 2017 Buick LaCrosse is based on the extended version of the Chevrolet Malibu’s Epsilon II platform. Based on the new underpinnings, Buick claims the 2017 LaCrosse is nearly 300 pounds lighter than its predecessor. Unlike the Chevrolet Malibu, which is restricted to four-cylinder engines, the 2017 Buick LaCrosse gets a revised 3.6 L V6, which is also found under the hood of the Camaro and the CTS. In the LaCrosse, the updated 3.6 L V6 is tuned to produce 305 horsepower and 268 lb-ft of torque. These figures are only marginally higher than the power output of the old 3.6 L V6, but these horses now pull less weight than before, resulting in improved performance. The engine is paired to a new eight-speed automatic transmission, controlled by GM’s Electronic Precision Shift. A stop/start system is standard. The new drivetrain should aide the uptick of fuel efficiency, although we don’t have official EPA ratings as of this writing. 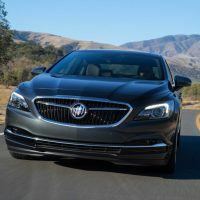 The exterior redesign of the 2017 Buick LaCrosse is more of a subtle evolution versus a head-turning revolution, maintaining the more traditional Buick LaCrosse DNA styling. Up front, the new face of Buick is heavily influenced by the gorgeous Avenir concept. The overall design of the new LaCrosse is very pleasing to the eye and shifts the brand’s direction in the right way: towards more elegantly designed automobiles in the future. Unlike Buicks of yore, the grille of the new LaCrosse features far less chrome, for example. However, before some of you start complaining, let me just reassure you that the LaCrosse does feature enough bright work throughout its exterior to please everyone who is not currently suffering from cataracts. The Tri-Shields on the grille and the decklid are now painted in red, white, and blue, as they were painted on classic Buick models. 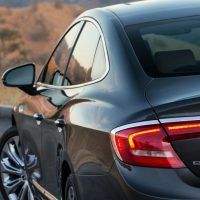 The body lines of the new LaCrosse are more elegant and cohesive as Buick has downplayed some of its more questionable trademark styling ques, like the fender VentiPorts. Dimensions wise, the 2017 Buick LaCrosse is nearly identical to its predecessor – the new car is 0.6 inches longer, 0.1 inch wider, and 1.6 inches lower. Overall wheelbase length increases by almost 3 inches, which should help free up more space for occupants inside and improve the vehicle’s overall proportions. While the exterior design was more of a subtle evolution, the interior of the new LaCrosse is an absolute revolution. 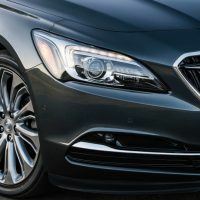 The Buick LaCrosse has been in production for three generations, and the interior of the new model totally rejuvenates the entire lineup. However, we are not really that surprised by the new car’s interior transformation because, to be honest, the previous LaCrosse had left a lot of room for improvement. While the old interior could barely keep up with offerings from Toyota and Hyundai, the new cabin is on par, or if not surpasses, the interiors of vehicles offered by Lexus. The cabin almost looks like it belongs in a Cadillac. Many panels inside the LaCrosse are covered in soft-touch materials and feature enough technology to captivate teenagers but baffle everyone else. An 8-inch touchscreen dominates the center console and thankfully it includes actual knobs for adjusting the volume and temperature. And that’s not all . . . additional climate features are also controlled by hard keys. Yes! Bonus points there! Optional features include heated and ventilated, massaging front seats, a heated steering wheel with power adjustment, power rear sunshade, dual-zone automatic climate control, and a Bose premium stereo. Quiet! Please . . .
For Buick, offering a quiet cabin is not only important, but also a competitive advantage. 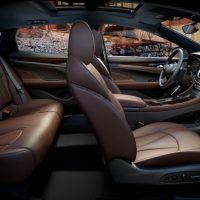 To achieve this goal, the ambitiously named “Buick QuietTuning” team took special care in designing the quietest cabin possible for the new LaCrosse. Active noise cancellation, acoustic fender liners, triple-sealed doors, and laminated windshield and front glass were all used to achieve the end result. 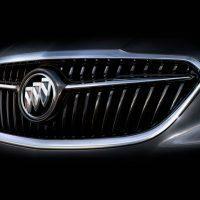 Jeff Yanssens, Buick’s Chief Engineer, said the team concentrated on the way “consumer-activated” things sound. This included things like the noise windshield wipers make, the way the fuel door opens, the way the gears shift, and even the way the windows roll up and down. The 2017 Buick LaCrosse is front-wheel drive, all-wheel drive is optional. Front-wheel drive Buick LaCrosse models can be fitted with the optional 20-inch rims, while 18-inch rims are standard. For enhanced ride quality and comfort, FWD LaCrosse models also feature GM’s HiPer Strut front suspension. Continuous Damping Control technology adjusts the dampers every two milliseconds. All-wheel drive LaCrosse models do not benefit from the larger wheels nor the HiPer Strut suspension setup, but they do get the same twin-clutch AWD system found in the Ford Focus RS hatchback. Just because the LaCrosse is equipped with the same AWD setup as the Focus RS does not mean that you will be able to drift around abandoned airfields like Ken Block. However, it will be capable of handling everything old man winter throws at drivers in the snow belt region of the U.S. The 2017 Buick LaCrosse also has additional technologies like au courant driver-assistance features. That includes automatic park assist for parallel and perpendicular parking, adaptive cruise control, forward-collision alert with pedestrian detection, lane-departure warning, and lane-keeping assist. 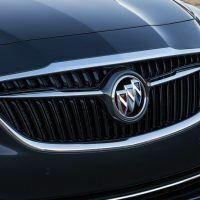 Along with 4G LTE Wi-Fi capability, Buick’s IntelliLink will also offer Apple CarPlay and Android Auto smartphone-mirroring. With all these updates and enhancements to the 2017 Buick LaCrosse, we are hoping it will be inspiring to talk about and engaging to drive. As of now, your guess is as good as mine when it comes to how it will actually perform. But when it debuts later this year, we will definitely find out. 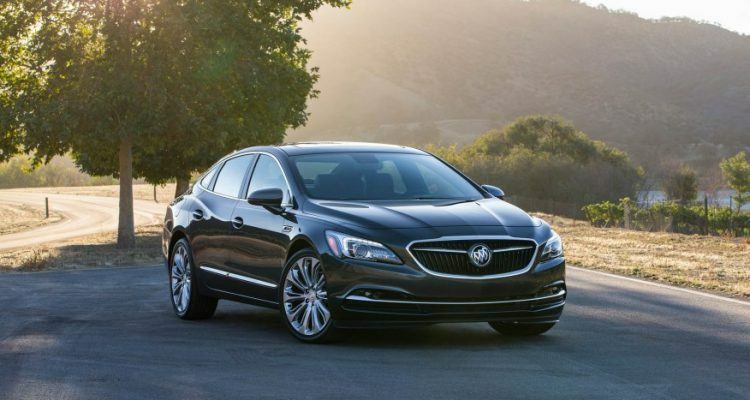 No Comments on "First Look: 2017 Buick LaCrosse"